​Mr. J. Craig Cantrell has been appointed as the Artistic Director of the Northwinds Symphonic Band, an all-adult community band providing a musical outlet for wind and percussion musicians of Northeast Georgia. Under this role, he serves as conductor, personnel and public relations officer, while serving as chair of the NSB board of directors. In addition, he is the founding Director of Bands at Cherokee Bluff High School, where he administers all aspects of the music department and serves as chairman of the department of Fine Arts. In addition to his administrative duties, he also conducts all of the instrumental music ensembles, which include the Marching Bears, Concert Bands, Percussion Ensembles, and other wind chamber groups. Additionally, he teaches courses in AP Music Theory and Musicianship. Mr. Cantrell, a recognized member of multiple editions of Who’s Who Among American Teachers and Who’s Who in America, was named Teacher of the Year in 2007 and 2018 and Star Teacher in 2011, 2013 and 2014. He received the Associate in Music from Truett-McConnell College in Cleveland, GA, where he studied piano with Dr. David George and euphonium with Brian Lambeth and the Bachelors of Music Education from Kennesaw State University, studying conducting and musicianship with Peter Witte and Alexander Mickelthwate (Winnipeg Symphony Orchestra) and euphonium with Michael Moore (principal tuba – Atlanta Symphony Orchestra). Other influential musicians with whom he has worked include Mr. Mercer Crook, Dr. Tom Barnett and Paula Peace in performance; Dr. John Shipp, H. Robert Reynolds, Allan McMurry, and John Lynch in conducting; and Marianne Ploger in musicianship. Mr. Cantrell maintains an active schedule as an adjudicator, clinician, and guest conductor throughout the state. He has conducted performances with the bands and wind ensembles at several high schools and universities. He has also guest conducted the Northeast Georgia Wind Symphony and the Army Grounds Force Band (Ft. McPherson). 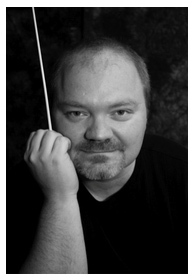 He has participated in many conducting clinics and workshops, including the University of Georgia Conductors Workshop, the Georgia State Conductors Symposium, and the Columbus State University Conductors Workshop. He has received the prestigious Citation of Excellence from the National Band Association on three separate occasions and is a proud member of Phi Beta Mu International Bandmasters Fraternity. Ensembles under Mr. Cantrell’s leadership have been featured as a featured performing ensemble at the University of Georgia January Music Festival (JanFest) (2011), the Southeastern United States Concert Band Clinic at Troy University (2012), the Georgia Music Educators Association In-Service Conference (2015), and the University of Alabama Band Festival (2015). His bands have traveled to perform in numerous national events in New York City, Washington DC, Dallas, Philadelphia, and Orlando. Marching Bands under his leadership have won numerous class championships and recognition at various marching contests throughout the state. In addition to his teaching duties, he is affiliated with professional organizations which include the National Association for Music Education, Georgia Music Educators Association, Phi Beta Mu International Bandmasters Fraternity, and the National Band Association. He also conducts the Gainesville Parks and Recreation Summer Community Theater Orchestra. He served as vice chair of GMEA District Fourteen, and has served as District Chair and member the Band Council for the GMEA District Nine. He resides in Gainesville, GA with is beautiful wife, Michelle and his wonderful step children Tyler and Julia. ​Ms. Vicki Pinson taught high school band for thirty years in North Georgia. Under her direction, her bands consistently received superior ratings as well as two Citation of Excellence awards. 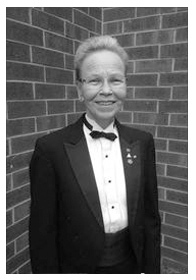 She serves throughout the southeast as a band adjudicator and clinician. Vicki is a charter member, associate conductor and a board member of the Northwinds Symphonic Band in Gainesville, Georgia. She is currently Director of Bands at Piedmont College in Demorest, Georgia. Vicki is an adjunct Professor of Music at the University of North Georgia also.She has been a member of Windjammers since 2012 and has been a conductor of the band since 2013. Elden Moates is a Northwinds charter member and member of the Board of Directors. He is a member of the Horn section and serves as Horn section leader. He joined Northwinds the first year of inception when Ron Evans founded the North Georgia Wind Symphony, which is now The Northwinds Symphonic Band. Mr. Moates presently serves as the Facility Coordinator for the Fannin County High School Performing Arts Center in Blue Ridge where he also served as Director of Bands at Fannin County High School. He has served the Fannin County School System since 1975. Mr. Moates obtained the BS and MS degrees in music education from Jacksonville State University in Jacksonville, Alabama. He earned the Educational Specialist degree in music education from Troy State University in Troy, Alabama, where he studied with legendary band conductor William D. Revelli. Mr. Moates has been chosen as Star Teacher twice for the Fannin County School System. Some of the highlights of his tenure with the Fannin County Band program include a State Senate commendation, a resolution from the House of Representatives, a performance in the State Capitol, a performance at the White House in celebration of the “200th Anniversary of the White House”, participation in the 2002 New Year’s Day Parade in London, England, performances at Pearl Harbor and Waikiki, and the commission project: “Motion” by Brian Balmages. Mr. Moates, a Georgia Certified Adjudicator, is also listed on the state adjudicator lists of Alabama and South Carolina. He has served as an Honor Band clinician for many districts in Georgia, Jacksonville State University and the University of Georgia. He served as guest conductor of the International Horn Society’s 31st Annual Symposium. He was featured in the Band World Magazine as one of the ten annual recipients of the “Legion of Honor” awarded by the John Philip Sousa Foundation. In January 2003, Mr. Moates served on the panel of International Adjudicators for the London New Year’s Day Parade and Concert Festival in London, England. Mr. Moates has served as State Chairman of the Band Division and as President of the Georgia Music Educators Association. Other professional affiliations include membership in The National Association for Music Education, Fannin County Association of Retired Educators and Phi Beta Mu Professional Bandmasters Fraternity. During the summer he serves on the staff of the University of Georgia Marching Band and Summer Music Camps. 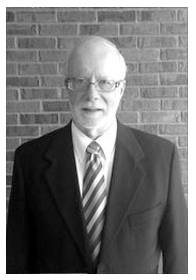 Mr. Beach received his undergraduate degree, a B. S. in music education, in 1974 from Tennessee Technological University. He received his Master of Music Degree in trumpet performance from the Catholic University of America in Washington, D. C in 1976. While in Washington he studied trumpet and conducting with Mr. Lloyd Geisler, former first trumpet and associate conductor of the National Philharmonic. He also performed with the United States Army Jazz Ambassadors, the Army’s official touring jazz ensemble. As a member of the Jazz Ambassadors, Mr. Beach performed on tour across the United States over 120 days per year. In 1977 he left the Army and taught at Peachtree High School in Dekalb County for four years. 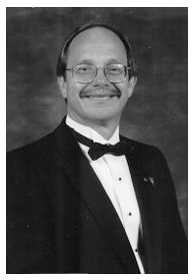 Mr. Beach was director of bands at Parkview High School from 1981-2006. During that time he taught marching band, concert and symphonic bands, music theory, and jazz band. He retired in 2006 and subsequently returned to teach AP Music Theory, Music Technology, and Guitar. Mr. Beach has served as a clinician and adjudicator in concert, marching, and jazz festivals in Georgia, Alabama, South Carolina, Tennessee, Ohio, and Florida. In 1998 he received the Legion of Honor award from the Sousa Foundation in recognition of his work at Parkview. In 1999 the Parkview Symphonic Band won the NAI regional competition in Washington, D. C. and in 2000 Parkview won the Grand National Band Festival. In 2006, the Parkview Band was awarded the Sudler Flag of Honor at the Midwest Band and Orchestra Clinic in Chicago, Ill.
​His professional affiliations have included: Music Educators National Conference, Georgia Music Educators Association, International Association of Jazz Educators, Phi Mu Alpha, and Phi Beta Mu professional fraternity. He resides in Lawrenceville, Georgia with his wife of 45 years, Judy, who is also a music teacher. They have two sons, Michael (39), a graduate of the University of Georgia and David (33) also a UGA graduate.